Two of the best things about my job…. It seems that I always have a large pile of professional readings that are reaffirming or challenging my beliefs about my practice. I am continually inspired by others in my profession and am so thankful for my PLN on social media, but this summer my readings have brought me to a quiet, peaceful sence of right. Yes, I'm inspired, excited, and nervous about the start of the new year, but I also have a newly found strength in my passion for the Reggio Emilia approach. I have been listening to colleagues, Charles Jungclaus, Niki Leech and Sandra Succamore who last year took part in the "Self Regulation Series" in my district and I read Calm Alert and Learning by Stuart Shanker. Through these, I have a greater awareness of the role of the environment on learning. In fact, Loris Malaguzzi, states that the environment is the third teacher. 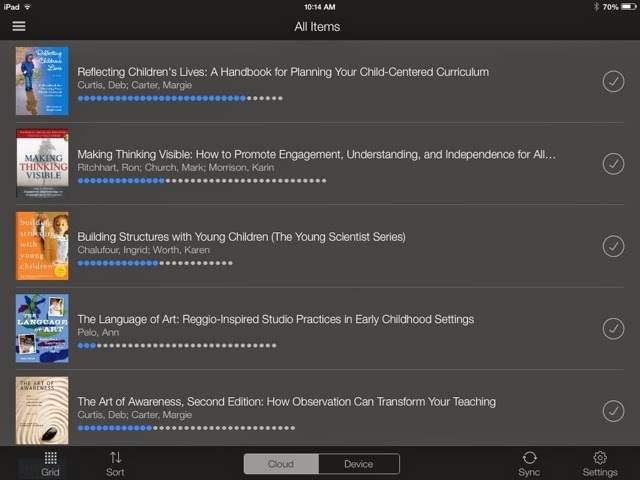 The common thread in all of these readings and works is the emphasis on quieting the environment and providing real, quality and natural items and tools for student use. The more I think about this and understand the philosophy behind it, the more I know in my heart it is right. When I look around my home I see a neutral calm grey on the walls and signs of nature in the plants, sticks, tree, wood, stone and fabrics. Why then is my classroom full of bright colours everywhere? Colourful borders on bright papered walls that interferes with student artwork, some store bought teaching materials and lots of plastic containers and materials. I need to quiet the classroom environment and turn to nature and natural items where possible. The Reggio approach speaks about strengthening children's connections to the natural and local environment partly by the relationship created with the materials we choose in the classroom (stones, pine cones, shells, sticks, water, sand, light...). 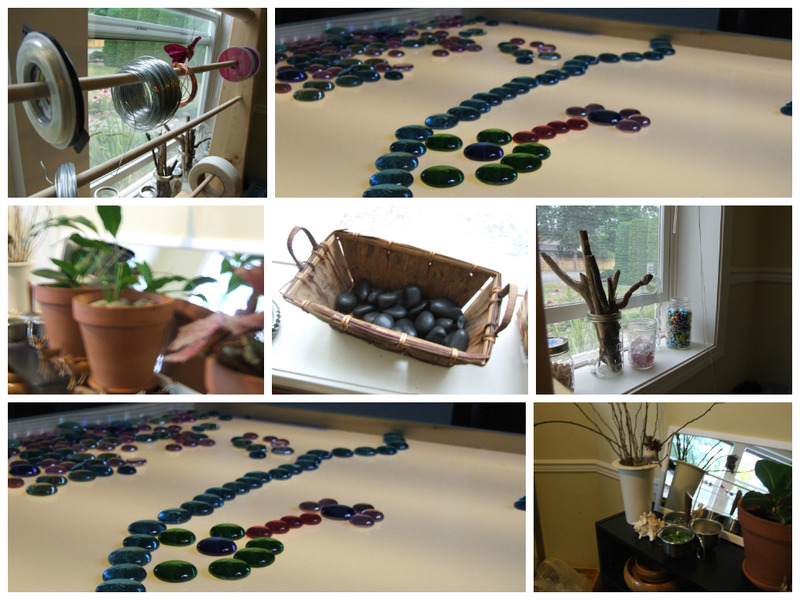 Another part of the Reggio philosophy is based on the strength of using loose parts for children's play and art. These items such as stones, gems, buttons, petals are more open ended and provide for greater children's creativity than some of the more commonly purchased materials that are geared for a specific use. Editing the materials on the shelves (thankfully I have some storage room at home) to make space. Empty shelf space for the creations students make. Having a space for them highlights the importance of student's work. Paring down the materials that are out at a time to make more space to move and collaborate. I intend to teach through play based inquiry. 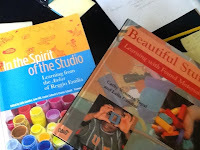 I will set up some provocations and observe and listen to students through their use of and play with the materials. I will follow their interests and strengths and challenge them where they are at. I have many possibilities of where we might go in our studies mapped out on paper as this is somewhat new for me, but I intend to teach the curriculum through the children's emerging interests. Yes, I will still directly teach guided reading, writing and numeracy concepts. No, I will not teach thematic units laid out by me in advance as in previous years. I know the big ideas in the curriculum and will incorporate them into our inquiries, provocations and daily explorations. This will be the most difficult task for me, I anticipate, because I plan on taking a large amount of time at the beginning of our year to listen, observe, and record what I see. I usually rush to get formal assessments done and start implementing my plans, but now I want to slow down and truly know my students first. I understand this will take time and knowing my own strengths are not in going slow as I tend to rush, this will be difficult. Yes I will still do formal evaluations to individualize student learning, I just don't want to rush into this. Possibly this will be easier because I am likely rolling over some of my students from last year in a 1-2 combined class. My heart says these are good things and I am listening! In preparation for the coming year, I have amassed more than a collection of reading. I have jars of sticks and stones and gems, flowers and leaves and petals pressing in my children's heaviest books, baskets of pinecones, and plants newly divided and planted ready for the love and attention of little hands. My family and friends have also been helping me in this endeavour. My husband has cut logs and drift wood for building blocks, made shelves and a light table, Hilary found some much coveted wooden bowls at a local yard sale, grandparents have donated baskets, fabric, jars, wood, and tiles. While this is an exciting start, I plan to have the children begin our collection with found treasures of their own and then add some of mine as needed. Now, I am anxious to hear your thoughts and get into my room to begin!